Blue Monday' is the third Monday in January. It is gloomy, dark, and allegedly the most depressing day of the year. Blue Monday comes after the Christmas festivities have ended, it is a long time until Spring, and typically people feel rather low on what is often a cold, grey day. Yet despite our increasingly lengthy winters, most people tend to wear dark clothes, especially to work. The concept of the campaign is simple; we ask everyone to wear their brightest clothes that day. Even if workplaces usually require sombre attire, we hope that on this one day a year employees will be encouraged to brighten up. We hope to make a big visual impact on Blue Monday each year by injecting some unexpected colour and joy. In 2019 the date is 21st January - please put it in your diaries! Instead of Blue Monday, it will become Blooming Monday! 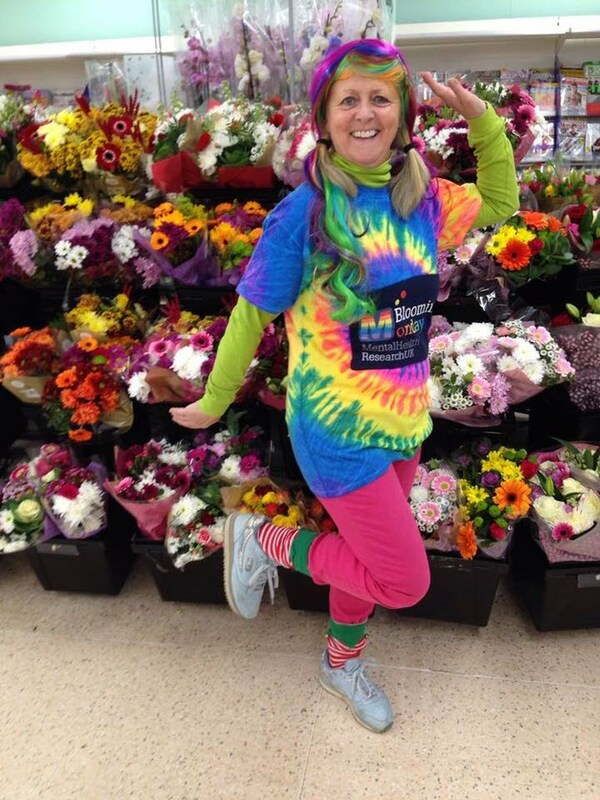 Ditch the greys and drab attire - wear bright clothes for charity on Blue Monday! Blooming Monday is a campaign from Mental Health Research UK - © 2012-2017 MHRUK. Check out our website and see what we do!